By Ian Pollard in News and Views, Uncategorized on 15th May 2017 . TUI AG TUI After a good start to the half year, TUI reiterates its forecast of at least 10% growth in underlying EBITA for the full year 2016-17.Half year turnover rose by 3.3% or 8.2% on a constant currency basis and customer numbers were up by 3%. Victrex VCT delivered a strong first half performance in the six months to 31st March and is increasing its interim dividend by 4%. Sales volume in the first half rose by 5% and revenue by 12%, or 4% on a constant currency basis. Profit before tax rose by 5% and cash is up by 90% to £86m. The positive momentum is continuing into the second half. Eco Animal Health EAH is likely to exceed market expectations for revenue and to exceed significantly those for pre tax profits for the year to 31st March. 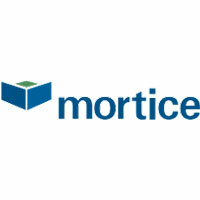 Mortice Limited MORT Following strong growth in all parts of the business, it is anticipated that financial results for the year to 31st March will be materially ahead of market expectations. Revenue rose by 35% and the company sees tremendous scope for further organic and acquisitive growth. Diploma plc DPLM is increasing its interim dividend by 13% after enjoying strong underlying growth boosted by currency tailwinds in the six months to the end of March. Adjusted profit before tax for the half year rose by 22% and adjusted earnings per share by 23%, with revenue up by 21%. Currency benefits from the weak pound are not expected to be as strong in the second half. Dignity plc DTY has made a strong start to the year, with all parts of the business performing well in the first quarter to the end of March. average income has been robust and overheads are well controlled. Further acquisitions have been made and there will be more during the remainder of the year.